The Chinese University Architecture Alumni Association (CUAAA) was established on 1 December 2007 to promote communication and cooperation among graduates, students, the School of Architecture and the community. We aim to assist personal and professional furtherance of our alumni members, and to provide the School with goodwill and support. The Association is enhancing its operation to better serve our alumni with expanded programmes, including networking events, career advisory and mentorship programme, as well as other meaningful activities such as community project opportunities for our members to serve society with their professional knowledge. Graduates of the BSSc (AS), MArch, MSc, MPhil and PhD programmes from the School of Architecture are eligible to join the Alumni Association. We also welcome our alumni to take an active role in the Association by participating as a member of our Committee. 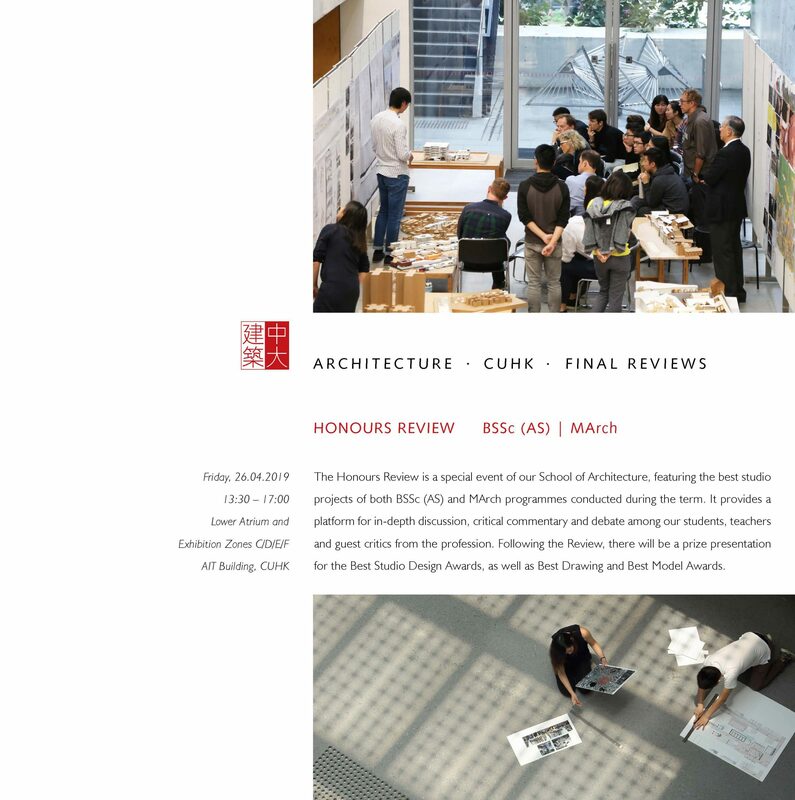 If you want to find out more about CUAAA and how you can get involved, please email us at aa-arch@alumni.cuhk.edu.hk, or visit our Facebook Page: www.facebook.com/CUAAA.CUHK.